The Pra Somdej amulets of Luang Por Tob are highly renowned for its powerful Kong Grapan Chadtri, Maha Lap, Metta Mahaniyom, Serm Duang (improve fate and destiny], Klaew Klaad, and Maha Ud power. In the present Era, Wat Chang Phueak (Wat Chon Daen) is a place where Buddhists from around South-East Asia and the rest of the World come in Pilgramage and to sight-see. Hundreds and Thousands of devotees visit the temple every day to pay reverence to the relics of Luang Por Tob, and beseech his blessings. Luang Por Tob’s body has not deteriorated, and has calcified to become stone over the years, and remains in the same condition as it was when he was first placed into the glass coffin. As far as amulets are concerned, Luang Por Tob excelled in this Wicha, and created more than 200 different kinds of amulets during his trajectory as a Sorceror Monk, including Muan Sarn Sacred Powders amulets, Roop Lor Loi Ongk Statuettes, Takrut and other amulets. So many of his amulets have become world famous classics and highly renowned for their magical power. His famous Roop Lor Hnaa Farang, Roop Lor Hua Mai Kheed, and Roop Lor Awk Sir are immensely sought after by collectors and devotees of the amulet appreciation societies, and fetch very high prices these days. One should be highly distrustful of amulets offered at cheap prices coming from this Great Master, because even in Thailand, the owners of his amulets, are not prepared to part with his amulets, except for a high price. His Takrut Trairong three colored red-white and blue amulet is mostly only ever seen on show, and rarely for auction, but a large number of forgeries can be found on Ebay and similar marketplaces, offered at low prices, which should be avoided. 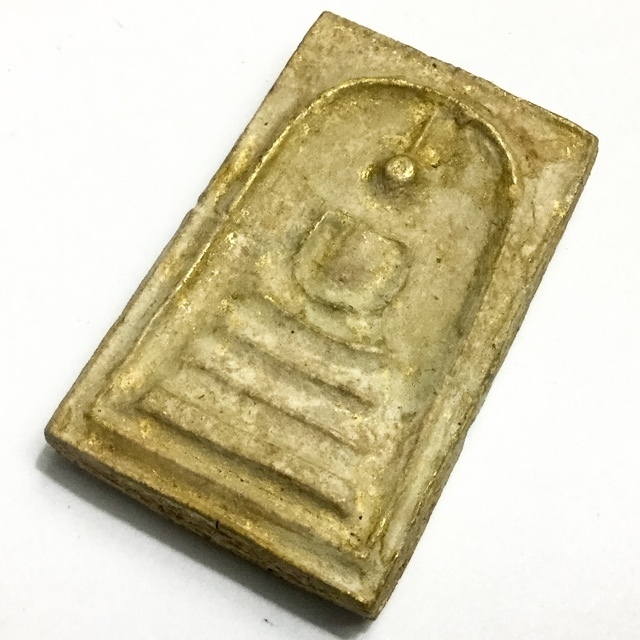 There is no such thing as an Authentic Luang Por Tob amulet with a low price. His charms and Talismans are legendary for their power of Kong Grapan Chadtri, Klaew Klaad, and Maha Ud Magic. His amulets are very rare to find these days, most of them already having an owner, with his Roop Lor Hnaa Farang, Rian Dode Rom, and Rian Paetch Glab coins belonging to the Pra Niyom Master Class Category. His Pra Somdej and Takrut Tone Tak Daay Cord-Bound Yantra scroll spells are the most highly sought after amulets in the ’Sian Pra’ amulet collector societies, and carry heavy prices to them, and are immensely rare to find.